Ive built several tanks over the years and various different light units. From simple tubelights, to highly complex full DIY LED units with integrated bluetooth control and LEDs on multiple color spectrum. Each had its own merits, but the effort to build these were a lot. Recently I experimented with the "Phillips Stellar" LED bulbs. They are shaped like old incandescent bulbs, and give out a diffused white light either 6500k or 4000k depending on what color you chose. Ive been getting good results so far with these bulbs. However, they lacked the "crispness" of purpose built LED units. For sometime I thought maybe I'll have to live with it. Last night however, I had a lightbulb moment (pun intended), I used a screw driver to pry open the opaque plastic lens cover of the bulb, to reveal an array of 1W LEDs mounted on a aluminum heatsink. These are really good (probably) LUMILED Chips, I dont have any proof, but since Phillips owns Lumiled, it makes sense. 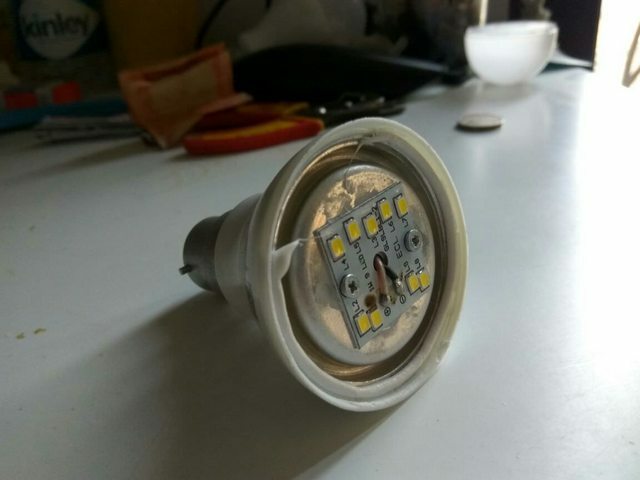 With the white diffuser the bulb has a 150 degree beam angle, and a lot of the light is wasted, the light also looses the typical LED shimmer and crispness. Without the diffuser, its a whole different story! The light is extra crisp. I use aluminum reflectors on my bulbs and now there is SHARP beam focusing on the plants directly beneath the tank. There is a brilliant shimmer coming off of the ripples made by the powerhead, and most of all the bulb is now tiny! I would recommend anyone starting a new tank to give these bulbs a thought. They can very easily compete with pendant lamps costing 5x as much. I'll upload pictures later in the evening. With the cover of the bulb open, would short circuit be a possible risk? It really depends on the quality of the LED's. I am using 2 feet 12 W LED tube lights. This works fine for a low or Medium light tank. In fact, I was eyeing these stellar for my 3 feet tank.. Here are a few pictures!! This is the tank with a normal LED bulb. This is the tank with LED cover removed! Notice how theres a clear straight line on the left side of the tank. Since I was running two bulbs earlier, I got two holders on two sides and now this bulb is offset to the right. This is a gif to show the shimmer on the modified bulb. Look at the left side of the driftwood. When I shot the video the filter spraybar was directed to the front. Later I redirected it to flow across the length of the tank and now the shimmer is at least twice as much. Also, the shimmer is easily twice as prominent in person than what is captured in the video sadly. The second video shows the tank under normal LED bulb. This is how the insides of the bulb look like. Umm, not if you follow basic electronic safety practices. If you end up accidentally touching the exposed LEDs you run the risk of getting your fingers burnt more than getting a shock, because LEDs run on DC voltage at very less power. However, you do expose the base PCB to the elements, so there is a risk of water splashing on the connections, but this again can be mitigated by simply hanging the LED at some distance. This risk is inherent in most LED units. 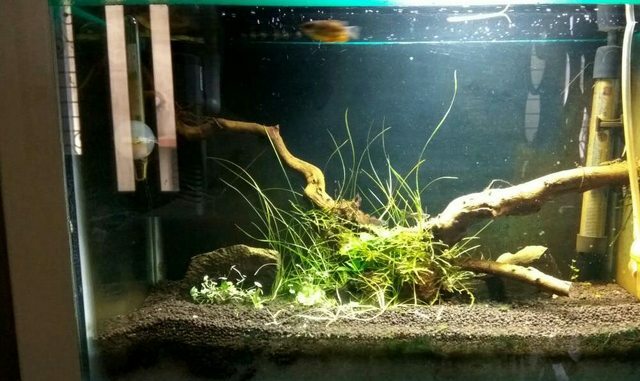 What plants are you growing with these lights and how big is the tank? Can you share the make of the LEDs? Also, what exactly would we measure to gauge quality? Efficiency? CRI? Lumen output? The only reliable and absolute measurement is reading PAR, but since we rarely get access to a PAR meter, its best to rely on lumen and color temp. These are great bulbs!! I didn't know earlier, but apparently you can get them from 4W to 40W. With the 40W behemoths making 4000Lumens! Ive recently built a unit for my low light 150G tank which has 6x 20W Stellars. The best part about these builds is that if there is too much light, I can just remove two of the bulbs and literally use them anywhere I want. While if there's not enough light, I can swap one or more 20W with a 23W or even 40Ws! what is recommended for 36 X 18 X 23 + 6" hood? how many stellar bulbs? and should I remove the diffuser? 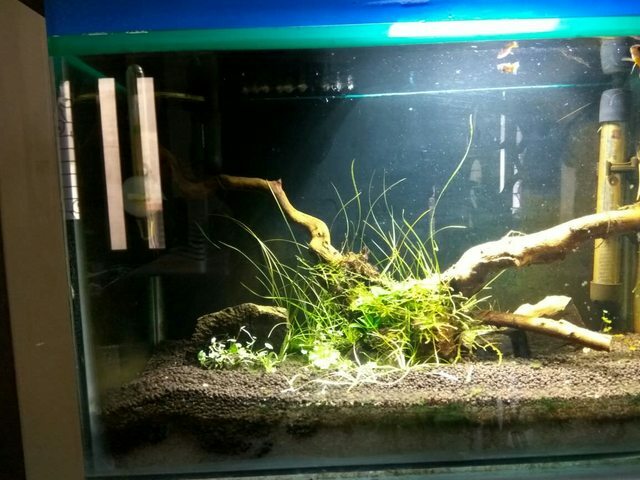 Im using 6x20W on my 150G low light tank, planning to grow mostly anubias, crypts, vals and rotala/echinodorus. Came across this new type of bulb from Philips. Hey! I actually came across them at my local store as well. They seemed good however they are only available in 10W and 8W. The only other negative is that they are pretty inefficient in space management. I can have a 20W bulb in the same area that it takes to fit this 10W bulb.